How To? email mini-course focusing on a specific post. 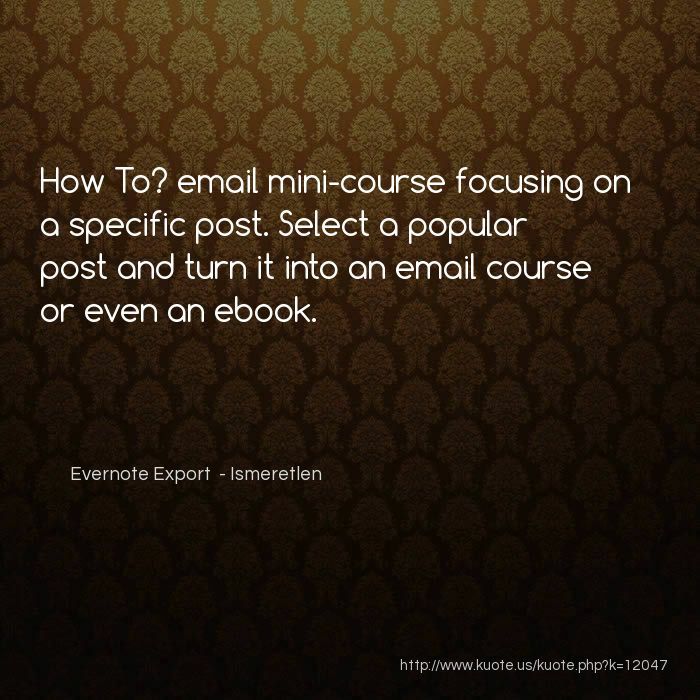 Select a popular post and turn it into an email course or even an ebook.